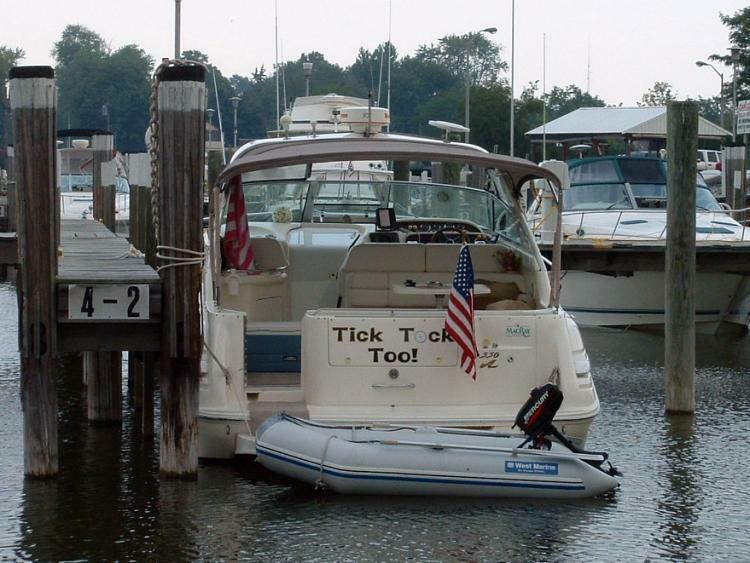 Tick Tock Too! 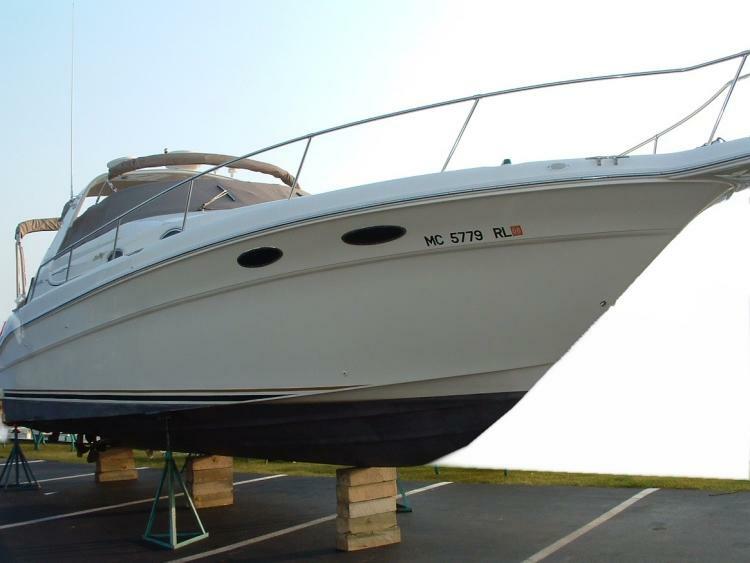 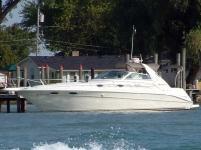 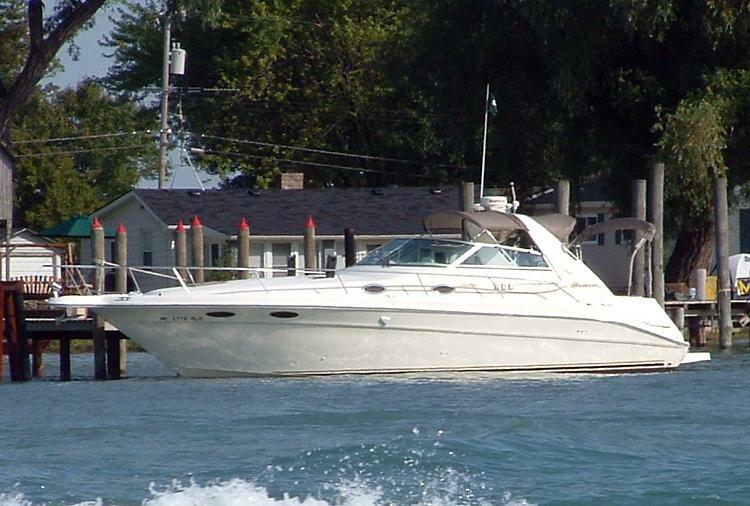 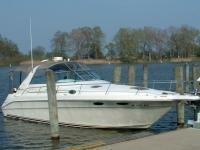 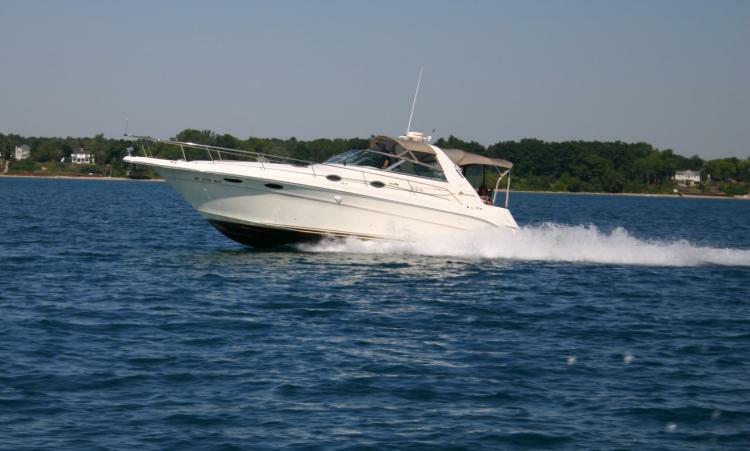 is a 1998 Sea Ray Sundancer 330 model. 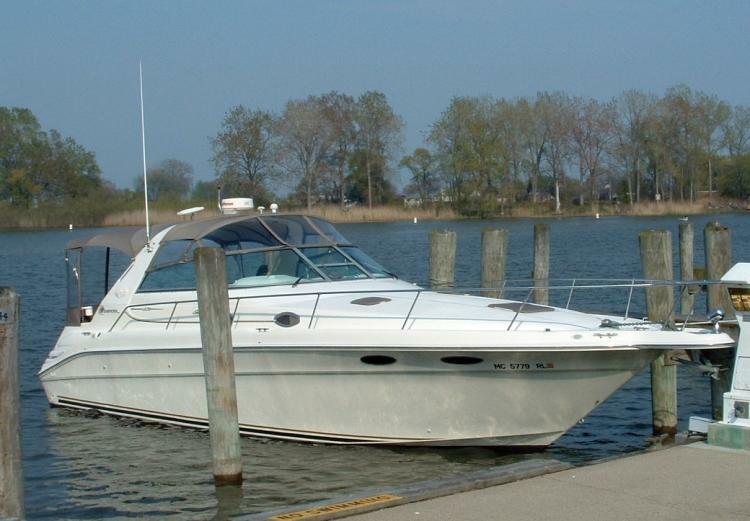 We bought this boat in November 2003, and took delivery in April 2004. 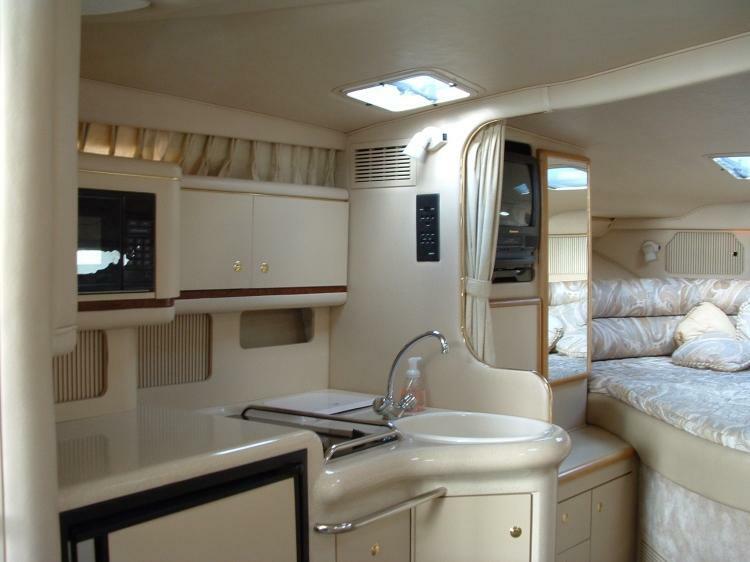 The cabin area of the 330 dancer is laid out nicely and there is quite a bit of storage as well. 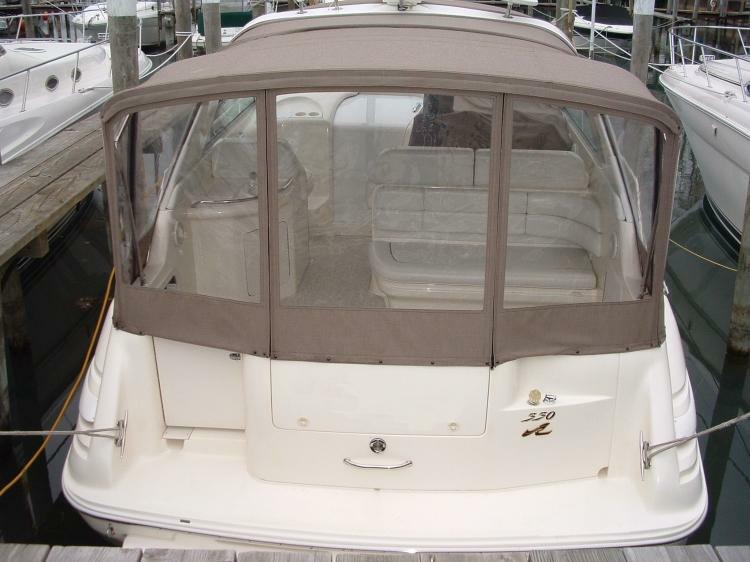 The forward v-berth we've added a layer of memory foam and had a custom pillow top made - very comfortable. This model has the curved sofa combo dining area, which has plenty of storage underneath. 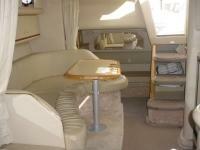 The aft couch turns into a double bed and also has a custom pillow top. 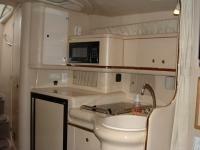 There are three hanging closets. 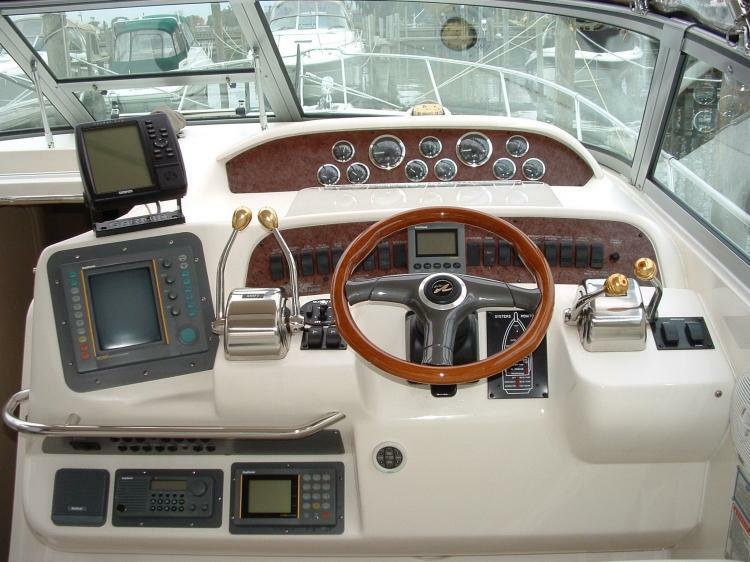 The cockpit area has generous seating. 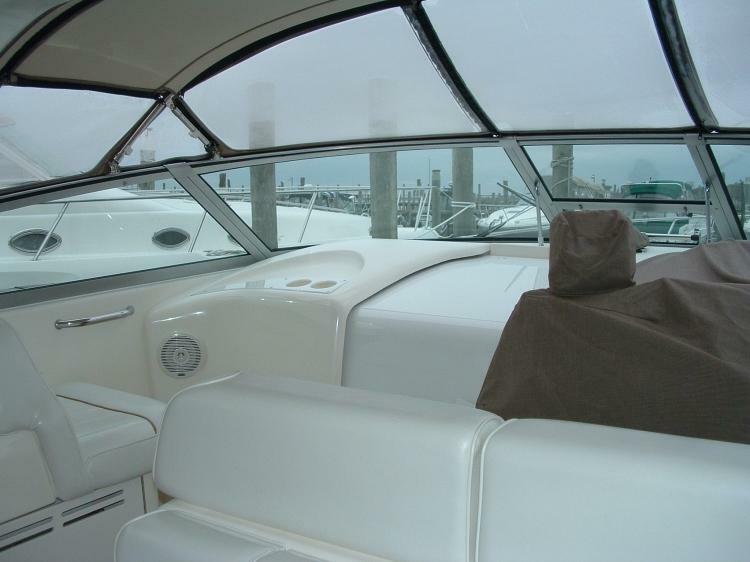 The helm seat fits 3 people comfortably. 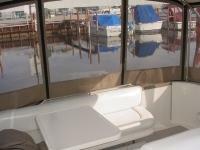 Add 1 person at the companion helm seat and another 6 or 7 in the rear horseshoe lounges. 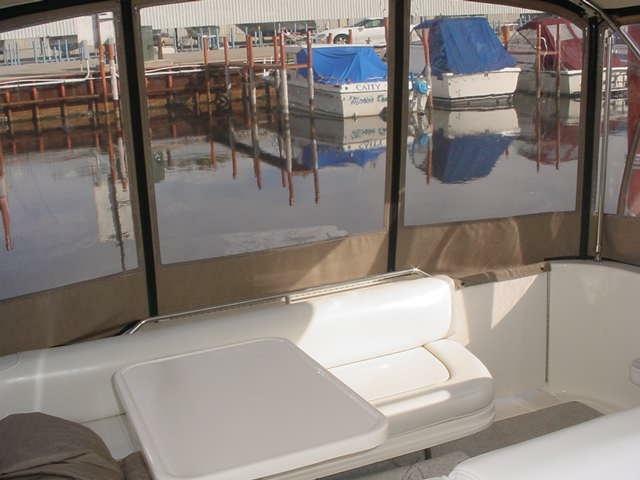 The table drops down to form a large sun pad area. 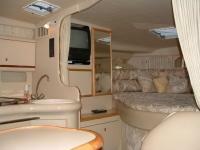 This also makes for comfortable bed to accommodate two people. The cockpit also has a wet bar along with an icemaker. 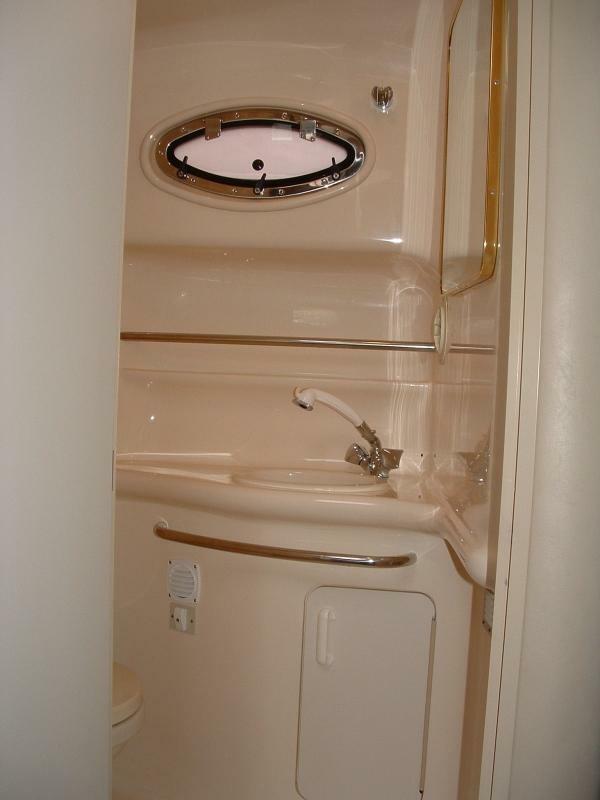 There is tons of storage under the seats, under the sink, as well as compartments in the sidewalls. 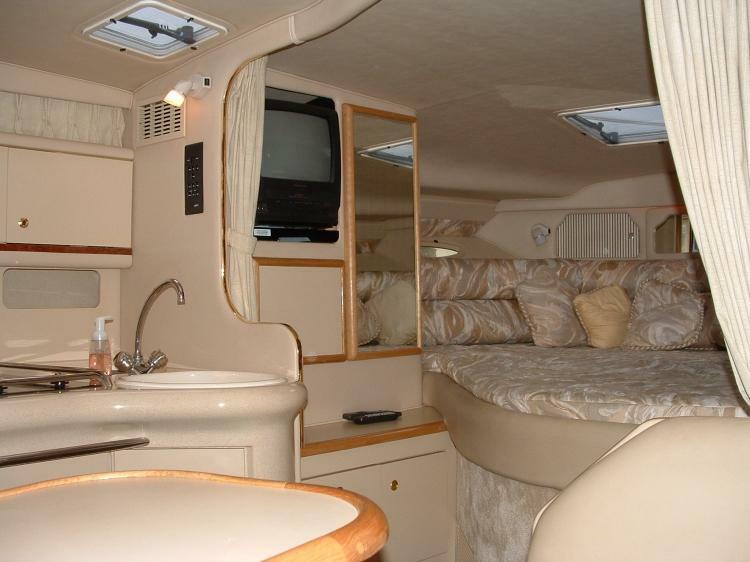 With the camper top installed, this makes for a great large living space. The electric hatch lift provides access to the engine compartment. 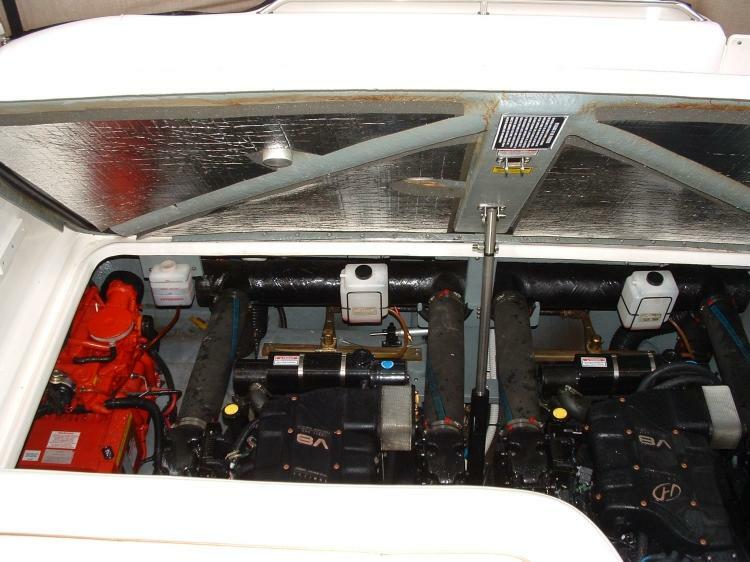 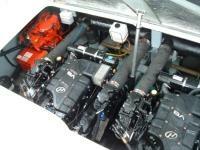 Powered by twin 7.4 MPI MerCruiser 380 hp Horizons with Closed cooling system. 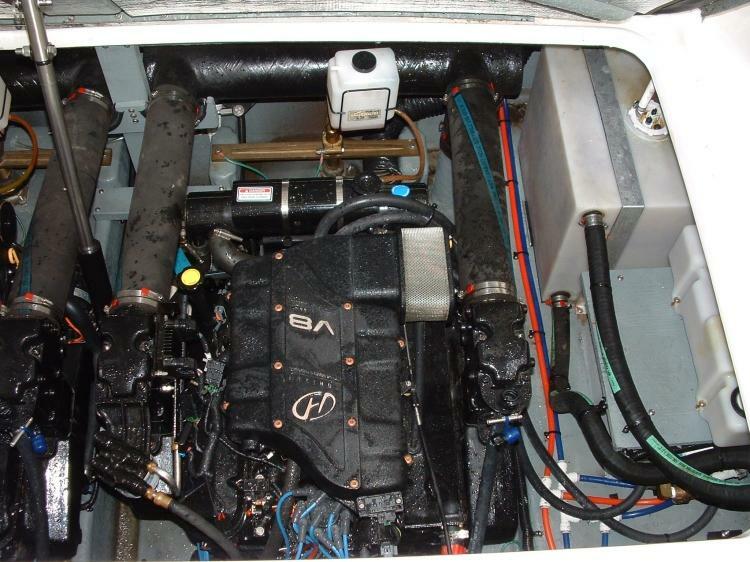 Equipped with a Westerbeke Generator. 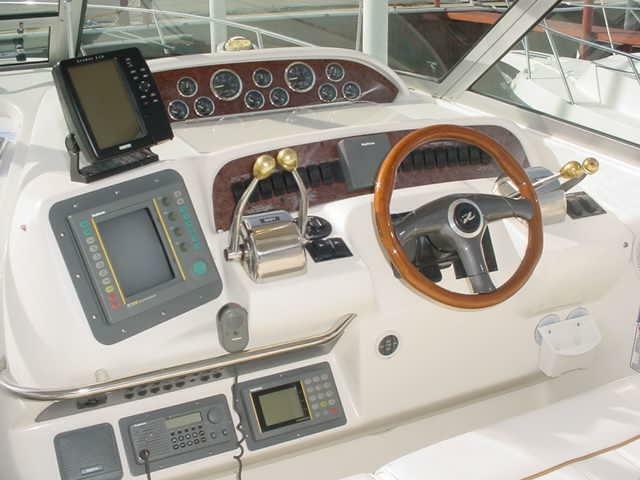 The helm has a large bench style seat with all controls at easy hands reach. 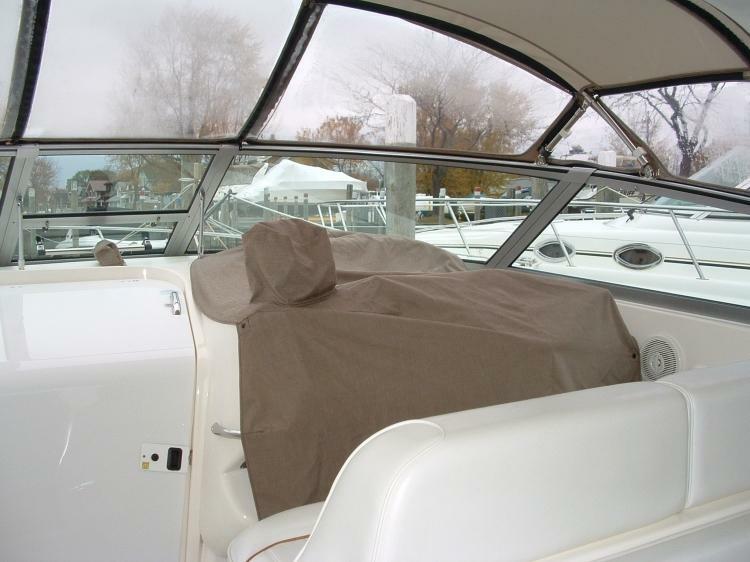 The custom made canvas cover keeps the dash protected when not in use. 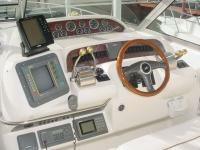 There is a nice wood grained tilt steering wheel and gold tipped shifter and throttle levers. 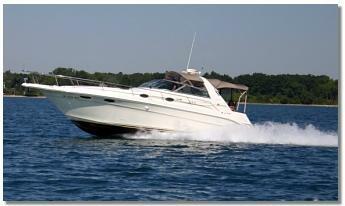 Electronics that came with the boat include radar, depth finder, vhf radio, and gps. 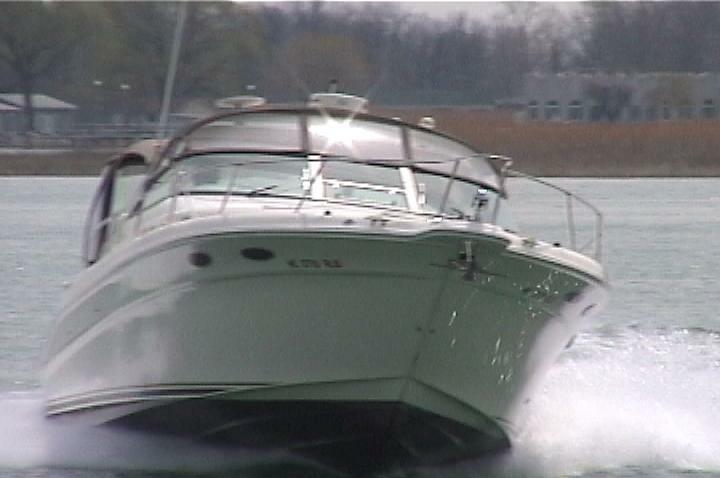 An add on Garmin gps / chart plotter is also installed. 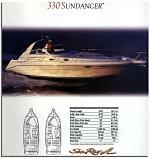 Take a look at some of the specifications on the 330 Sundancer.